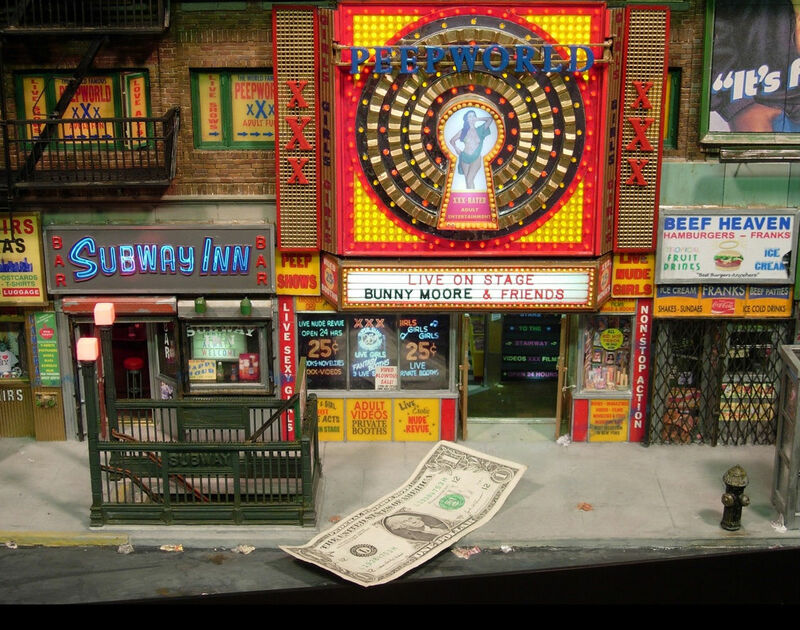 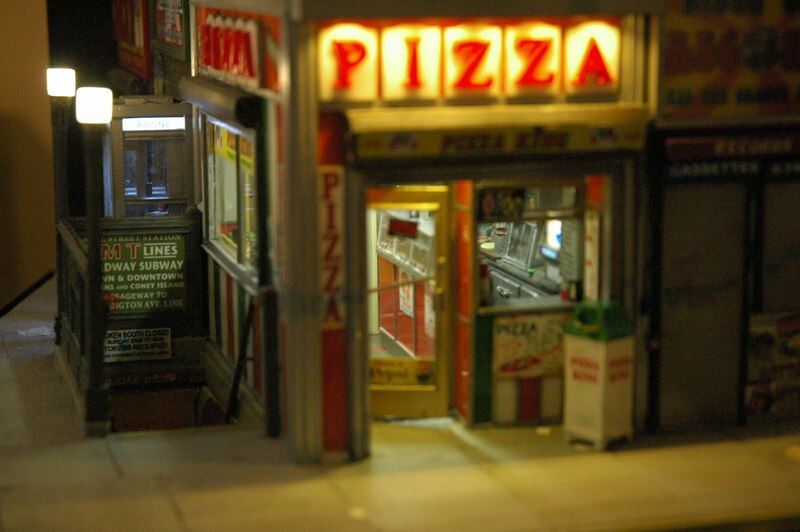 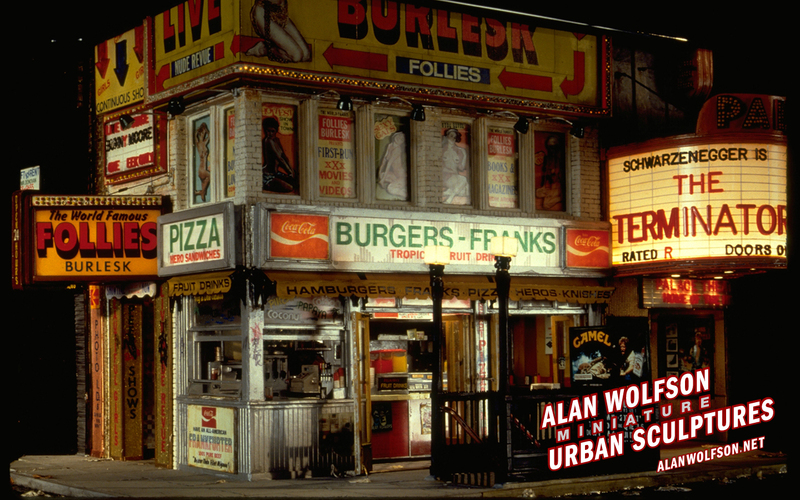 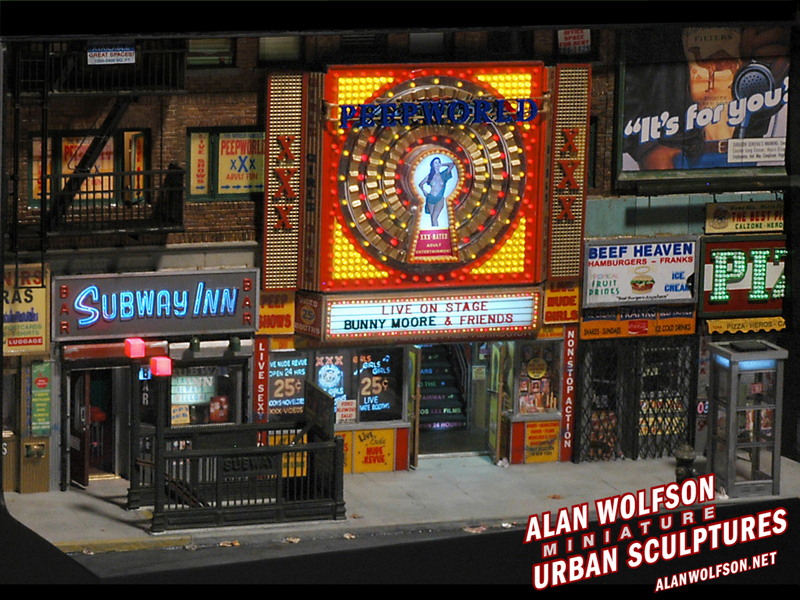 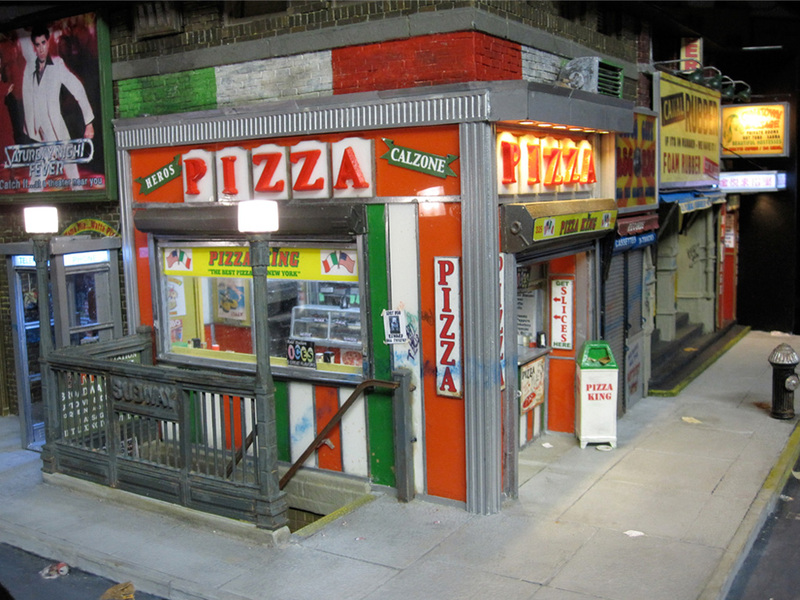 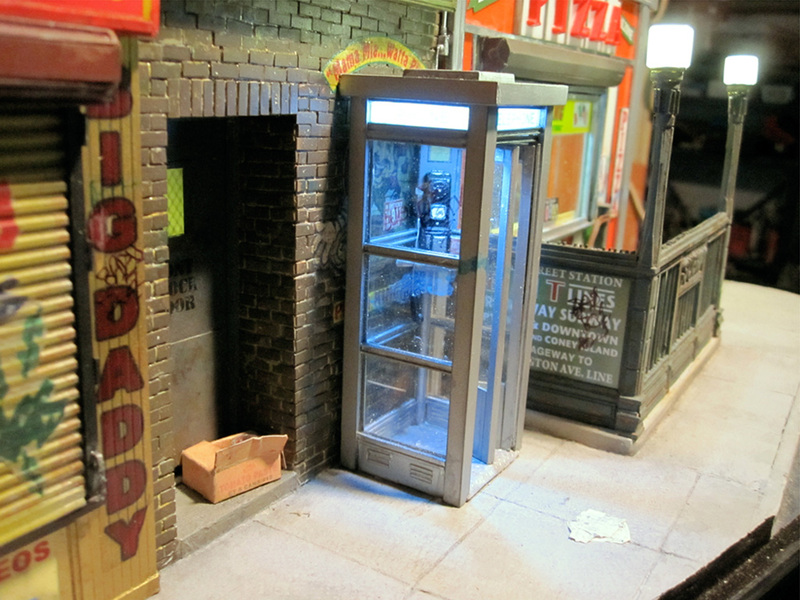 Alan Wolfson creates handmade miniature sculptures of urban environments. 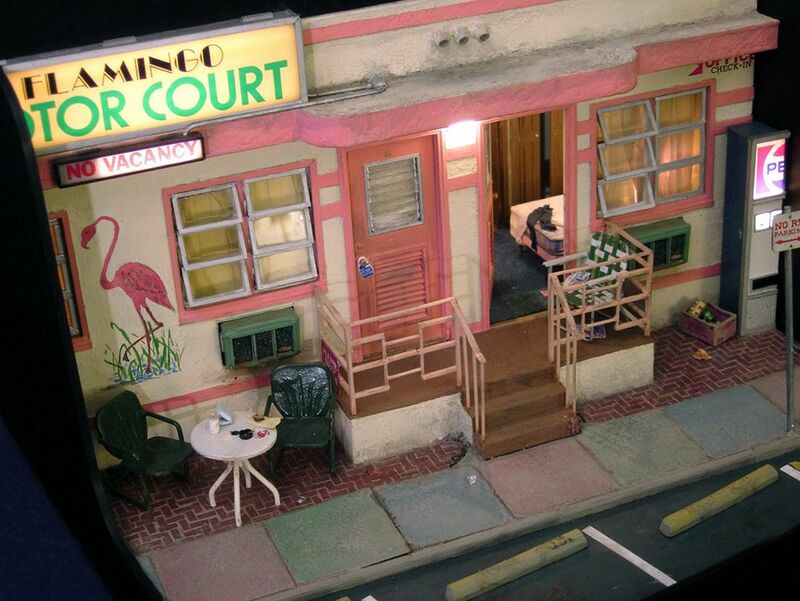 Complete with complex interior views and lighting effects, a major work can take several months to complete. 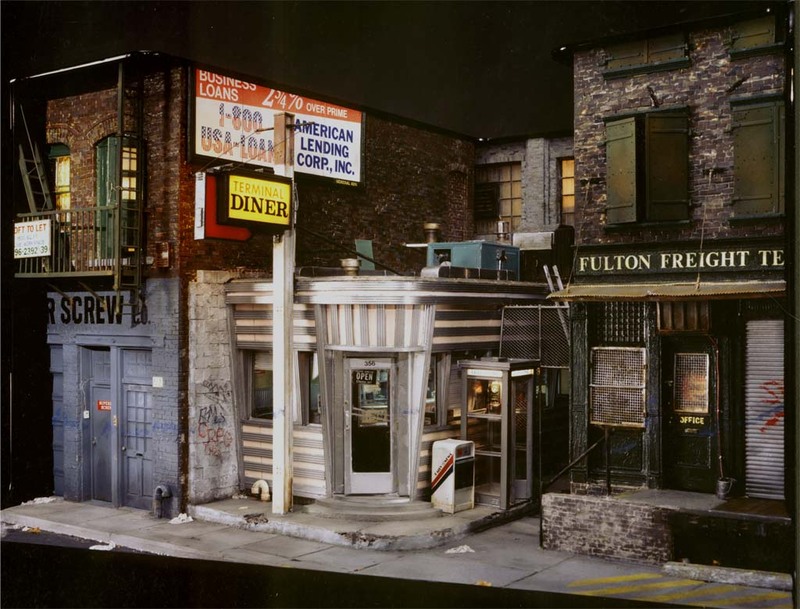 The pieces are usually not exact representations of existing locations, but rather a combination of details from many different locations along with much of the detail from the artist’s imagination. 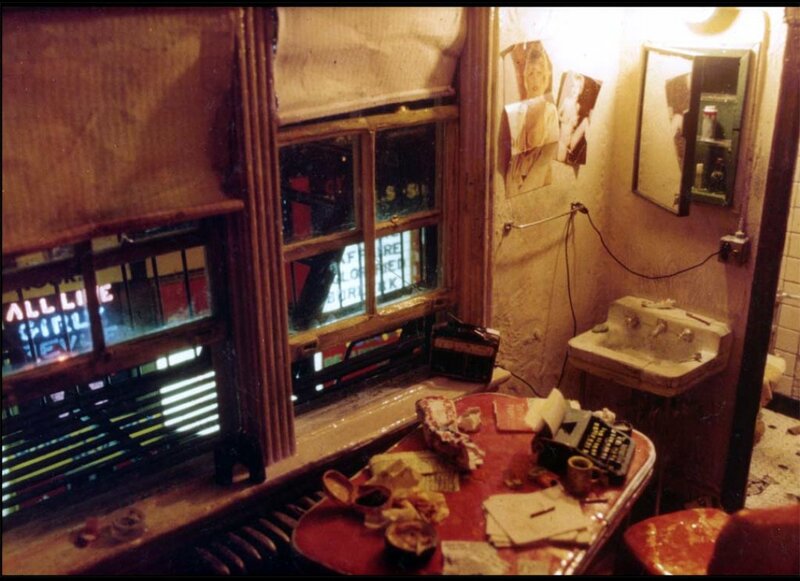 There is a narrative element to the work. 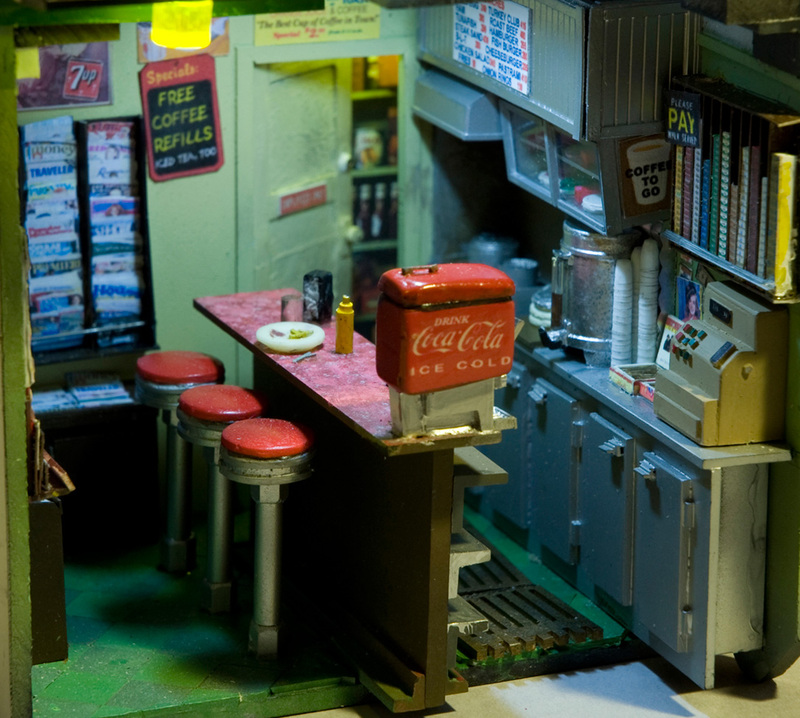 Scenarios are played out through the use of inanimate objects in the scene. 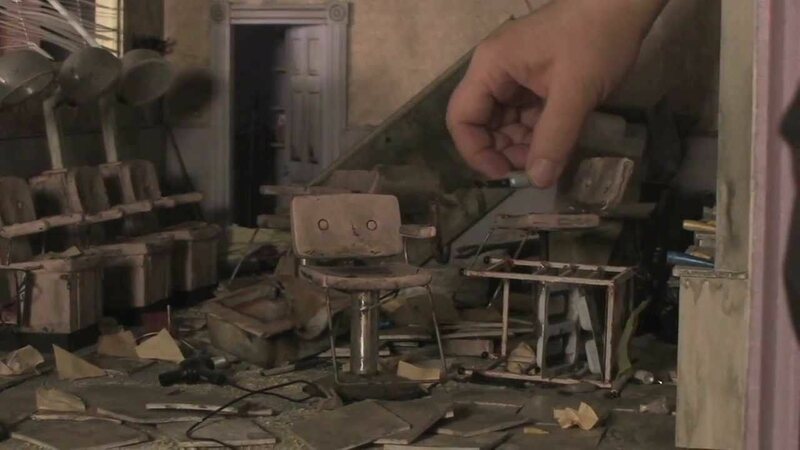 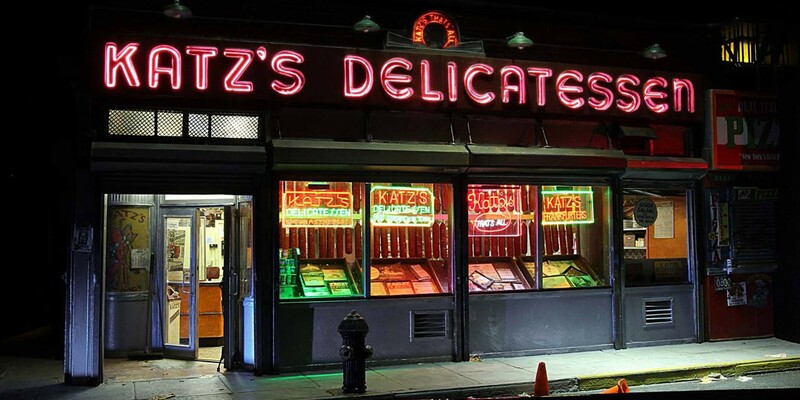 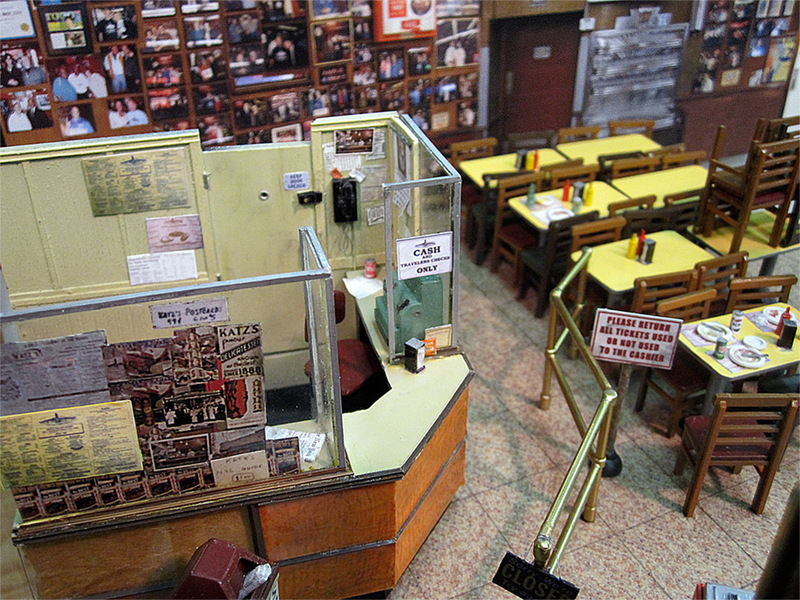 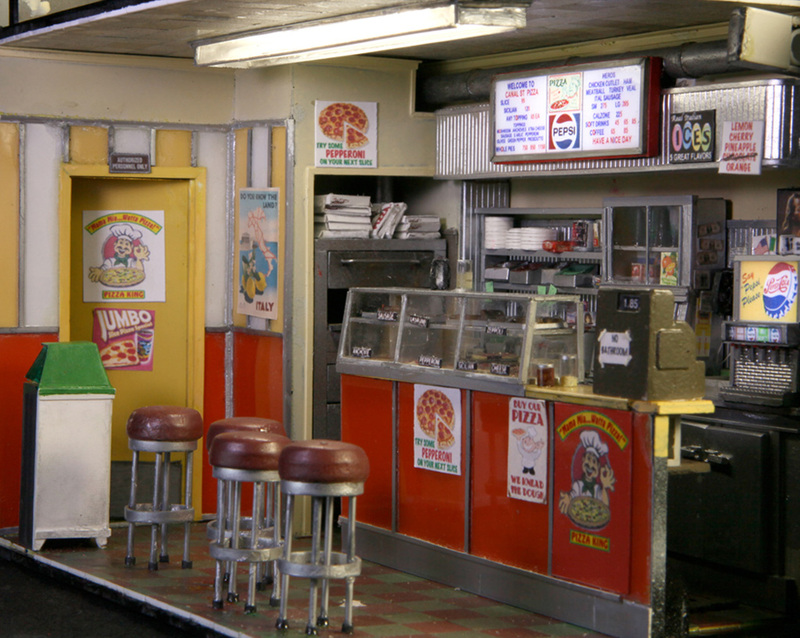 There are never people present, only things they have left behind; garbage, graffiti, or a tip on a diner table, all give the work a sense of motion and a storyline. 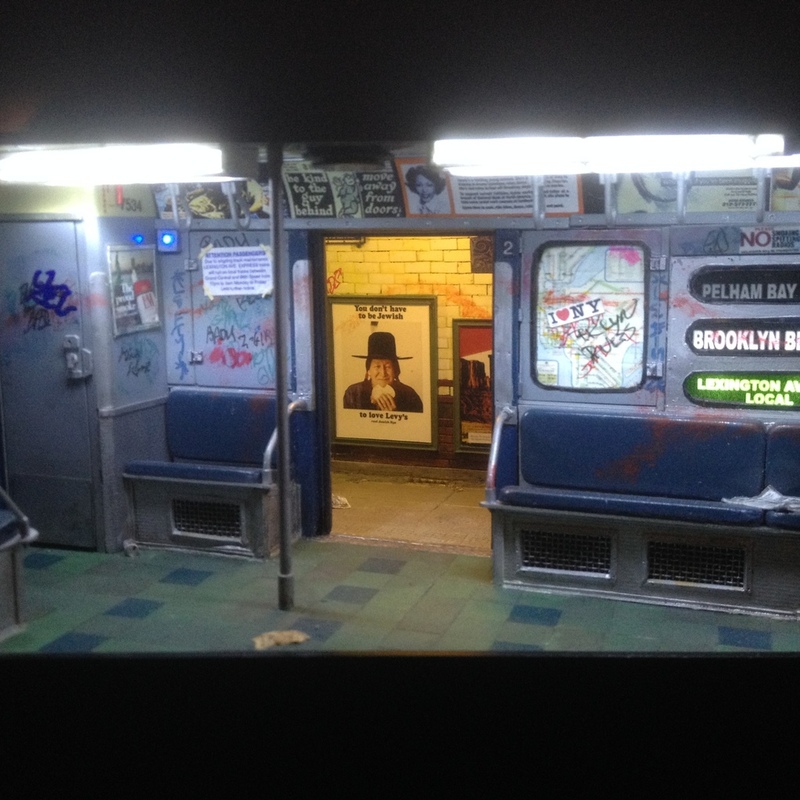 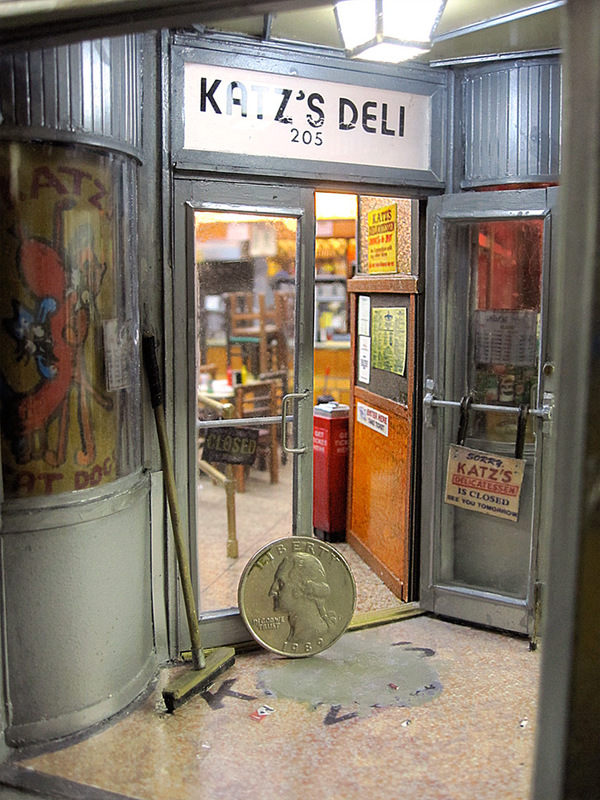 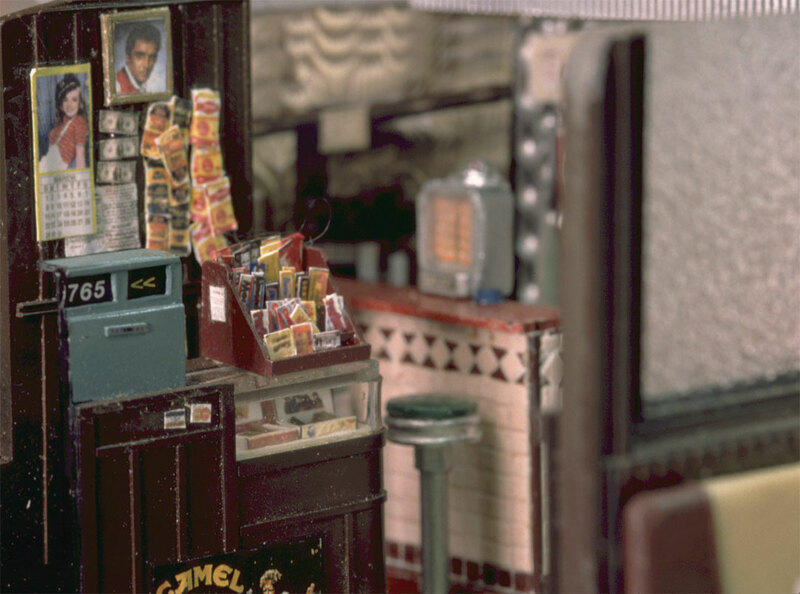 Alan’s miniature environments are included in art collections throughout the US and Europe.